Family Cane Shop is a small family owned business; born in the mid 1970's of a love for antique furniture, particularly chairs, and an ongoing friendship between student and elderly chair caning instructor, Dan Nauman. We began only working with hand caned chairs. 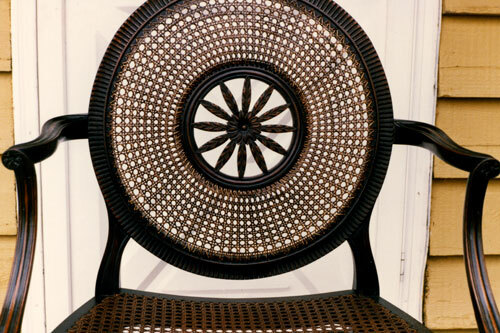 Currently our work involves restoring chairs and other small pieces of furniture with Hand and Machine Caning, Rush (real and fiber), Reed, Danish Lace, Binder Cane patterns, Rawhide, Splint, Wicker and Rattan, as well as repair work.